With credit card debt, there comes a time when consumers essentially just throw in the towel. The amount they owe grows to a number so large that they come to understand they’ll never be able to pay it back. 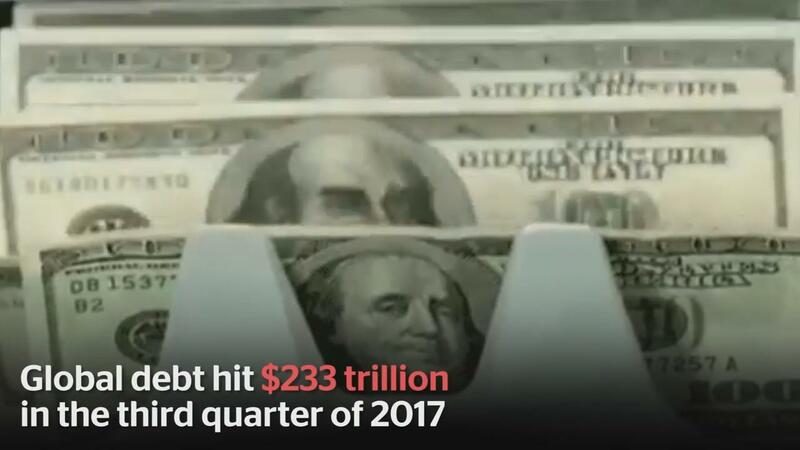 So they let go of the stress and burden it represents and incur whatever additional debt they can, knowing it will all be erased in bankruptcy eventually. They then emerge from the process with no debt. Given this fresh start, they can repair their credit score relatively quickly, and after a few years it’s like nothing ever happened. Not so on the world stage. Who among us can honestly wrap our minds around how much $233 trillion dollars is? Debt-wise, it’s past the point of ‘hopelessly large.’ There is no repayment plan. Most importantly, there is no neat and tidy bankruptcy option. Default means chaos, strife, and civil unrest. Global debt has reached record heights without any signs of relief. While central bankers try to explain away the phenomenon of these out-of-control numbers, it’s not much of a mystery. Immediate consumption with the promise of repayment sometime in the future has consequences. Global debt is staggering to the point most of it will never be repaid. Certainly not in our generation. Perhaps by our grandchildren, but as global debt keeps mounting, the picture is doubtful. Economists insist that the 2007 financial crisis could not have been predicted. Yet, all the signs of out-of-control credit where there. Today, economists are repeating the same mantra, despite the spiraling world debt. The question is not if the next bubble will strike. It’s a matter of when. The math is fairly simple. The more a country increases its debt to simply stay afloat, the more like the increasing debt will cause a tightening of credit. The next step in the equation is a burst bubble and economic crisis. This is what happened in 1929, happened again in 2007, and it’s happening now. Past behavior is the best predictor of future behavior.